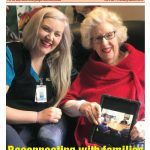 Merri Health, a community health organisation in Melbourne’s North, has established an innovative and timely program to meet the needs of people with dementia and their carers living in the community. Commencing in June 2018, the Specialist Memory and Dementia Service is funded through the Commonwealth Home Support Program (CHSP) to provide in-home support to these clients. As a multi-disciplinary program, services are offered through occupational therapy (OT), physiotherapy, exercise physiology, speech pathology and dietetics. In addition, clients have access to an MBS-funded geriatrician and dementia carer consultants. The service currently employs a full-time senior exercise physiologist, a full-time physiotherapist, a team leader/senior OT, a full-time senior OT, part-time dementia carer consultants, a part-time allied health assistant and a part-time geriatrician. 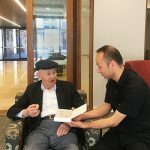 The dementia service, in conjunction with a Rapid Reablement Service which also commenced in June 2018, forms the Aged Specialist Services Program at Merri Health. 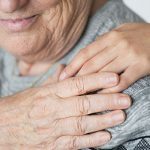 The reablement program is a goal-focused, person-centred program to assist clients to return to their previous level of function, usually following an acute episode such as a fall. It is a time-limited program, usually up to three months in duration. It involves the allied health team as well as the Regional Assessment Service (RAS) team supporting the client during their period of reablement. 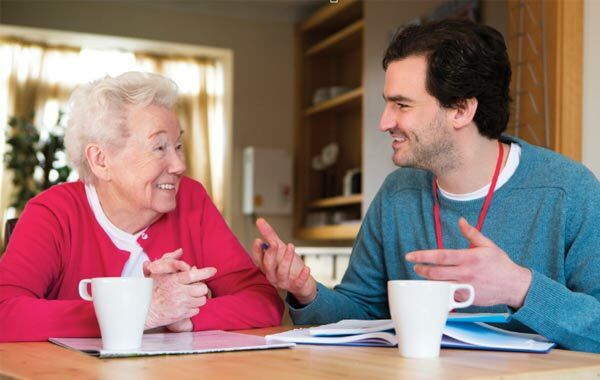 It is vital that people with dementia and their carers are provided with ongoing, holistic support at all stages of dementia while living in their own homes in the community. 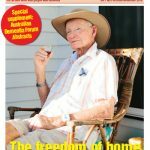 The Specialist Memory and Dementia Service came about through extensive consultation with key stakeholders in Melbourne’s northern suburbs, including the RAS, Aged Care Assessment Service (ACAS) and Cognitive Dementia and Memory Service (CDAMS), which identified a gap in the dementia care system – specifically that a community-based dementia service was required. 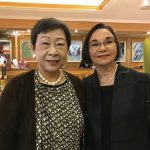 It was set up particularly to support clients post-diagnosis, from CDAMS and through all stages of dementia, as well as people without a formal diagnosis of dementia. 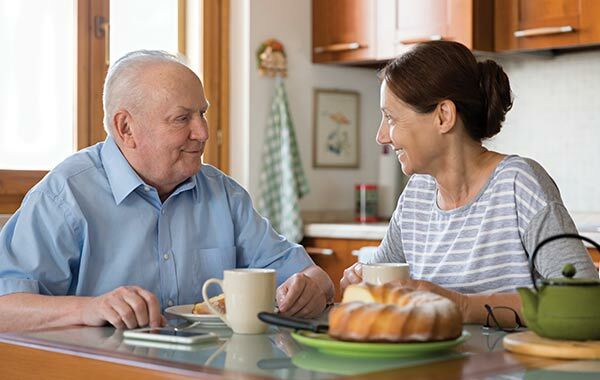 Merri Health’s Specialist Memory and Dementia Service provides intervention and education to enhance people’s independence in the home environment, as well as providing specialist input if care becomes challenging at home. The service focuses on addressing responsive behaviours, environmental enhancement, carer and client wellbeing and engagement in meaningful life roles and activities. Providing support for the physical needs of a person with dementia is also of great importance. Having a physiotherapist and exercise physiologist on the team helps to meet the mobility, balance, falls management and exercise needs of the clients. A diagnosis of dementia should not mean that the person stops their meaningful activities and roles. An important aim of the Specialist Memory and Dementia Service is to assist clients and their carers to continue to engage in these activities and to help them modify tasks, based on their functional and cognitive strengths. 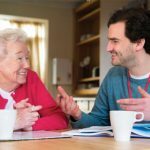 Many clients and carers are not aware that there are interventions which can be implemented to help the person with dementia retain their independence, life roles and leisure interests and continue to engage in meaningful activities. 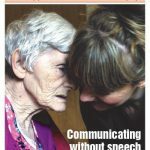 These interventions can include: signage and use of visual cues around the home to assist with orientation; reviewing the use of contrast and lighting in the environment; falls management strategies; support to resume or continue meal preparation, personal care and accessing the local community; education to assist carers to simplify their communication with the person with dementia; and enhancing visiting experiences with family through personalised, graded activities. Specifically, we use the Pool Activity Level (PAL) Instrument for Occupational Profiling, in conjunction with a lifestyle questionnaire and the client’s goals, to grade activities and tailor them to the individual. The service’s dementia carer consultants provide emotional and strategic support for carers and family members. They support carers to learn more about dementia, understand and respond to behavioural changes and assist with navigating community services. The consultants, who are based primarily with CarerLinks North, work closely in partnership with the Specialist Memory and Dementia Service allied health team. A key intervention offered through the Specialist Memory and Dementia Service is environmental assessment and enhancement of the home environment. Based on the 10 dementia design principles (Fleming et al 2003), clients are provided with an assessment and a report to assist with enhancing their home. OT interventions also support the clients and their carers in implementing these changes in the home environment. Having trained in environmental enhancement for people with dementia, I acknowledge it’s a fine line in what we modify in a client’s home. On one hand, the home environment offers a place of familiarity for a client, yet much can be done to make the environment safer, to provide opportunities for meaningful engagement, and to enhance helpful stimuli and reduce unhelpful stimuli. I am always conscious of making sure there is a balance when modifying a client’s home to make it more dementia friendly. For clients with dementia living in their own home, it is so important to provide them with support to make their environment as optimal as possible to their wellbeing and safety. Referrals to the Specialist Memory and Dementia Service can be made through My Aged Care (MAC) under Specialised Support Services, and our team’s geriatrician can be referred to directly through a GP. An important aspect of the service is that it is not time-limited. As long as the program continues to be funded by CHSP and a referral is received through MAC, the client can present to the service as often as required and we do not cap how many instances of care they will receive. There is no set number of visits a client can receive per week as this is determined by their clinician. 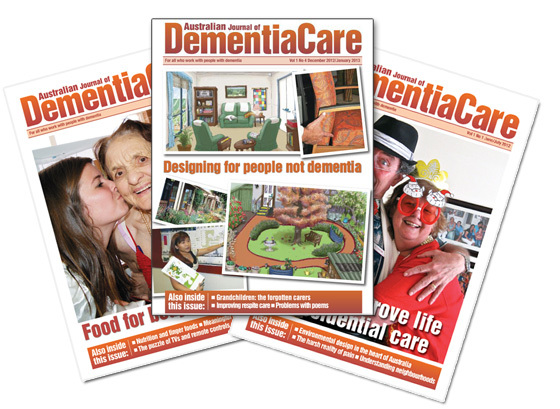 Given the nature of dementia and the changing needs of clients and carers, some of our original cases are still open. Initial assessments generally take 1.5 hours and review visits generally last 45-60 minutes. For some disciplines such as OT, there is quite a lot of work outside of these times, for example sending clients resources, reports and recommendations to implement between visits. As a general rule, clients who are pensioners will pay $9.90 for a home-based consultation through the Aged Specialist Services Program. We also work with clients on home care packages and these clients are charged at full cost recovery as per the home care package and CHSP guidelines. 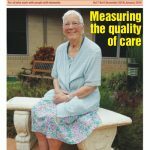 Our geriatrician is MBS-funded and therefore bulk bills, which means there is no cost to the client. 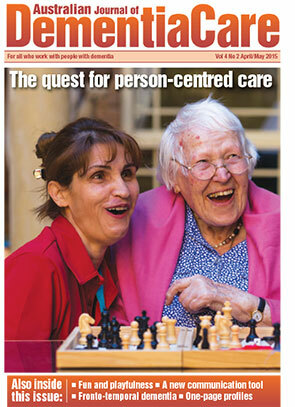 Clients are currently also seeing a geriatrician within one to two weeks of receiving the referral from their GP. While the demand for the geriatrician will increase with the growth of the service, it is likely that the waitlist for our geriatrician will still be considerably shorter than often is the case with other services. Merri Health’s Specialist Memory and Dementia Service is certainly the only one of its kind in Melbourne and, in the 17 years that I have been practicing as an OT, I am not aware of any other services in Victoria that offer what our program does – a full allied health team and a bulk-billed geriatrician service, providing support for people at all stages of dementia and cognitive loss in the client’s home. Since the service began in June 2018 we have seen 192 clients. Demand is such that we’re now planning to increase our staff numbers so we can expand beyond Merri Health’s traditional service area in Melbourne’s northern suburbs. We’re also looking to include nursing support. Once the team grows we will have the capacity to visit clients in their homes within a 30km radius of our office in Glenroy.